JKLF London branch paid glowing tributes to Late Amanullah Khan on his second death anniversary during commemorative gathering. Rich tributes were paid to this great legend and pledged to continue with his mission for a democratic and independent state of Jammu Kashmir. President of JKLF London branch, Mahmood Hussain said Amanullah Khan gave identity to Kashmiri people especially those living abroad. Mahmood Hussain said that Amanullah Khan was an honest and selfless person who was offered all sorts posts to compromise but always worked for the Kashmir cause which was very close to his heart. 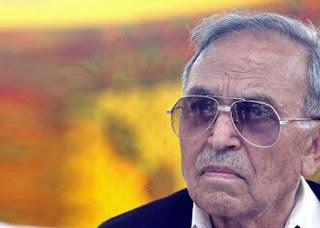 He said that Amanullah Khan struggled for 70 years of his life for the cause of Kashmir and no example of such magnitude of steadfastness, sacrifice and determination can be found.